As a busy programme venue we request that you make an appointment to arrange a visit. We have times available for in visitors. To do this you can call us on 01647 252983 or email info@embercombe.org. Alternatively you are welcome to join us for one of our Embercombe Experience Weekends held regulary throughout the year. Exeter St David’s is the closest station to us which serves most of the UK. It’s approximately 7 miles from Embercombe. There is a taxi rank outside or you can walk to Exeter Central Bus Station which is approximately a 1.5 mile walk into town. Minibus pickup and drop off is available from the train station for some programmes costing £6 each way. You can reserve a seat online when booking your place. There is a 360 Dartline bus service from the Central Bus Station in Exeter which stops 1.3 miles from Embercombe. Look for route name Exeter-Dunchideock-Bridford and get off the bus at the Belevedere Castle stop. On leaving the bus, continue along the top road. After 400 yards you’ll reach the Belvedere Castle entrance on your left. Opposite, there is a little road going down to the right, signposted Trusham and Ashton. Follow this road for approximately 20 minutes until you reach Embercombe’s main gate on the right. Taxis are plentiful at Exeter St David’s and Newton Abbott and do not need to be pre-ordered. Taxis cost approximately £20 – £25. Eco-Cars run a service from Exeter St David’s with a hybrid electric vehicle (01392 259880). Follow the signs to Exeter Race Course. Climb the hill slowly and get into the left hand lane, at the top of the hill (Haldon Hill) take the left exit marked Dunchideock and Exeter Race Course. Pay particular attention as you do not get much warning of the exit! Turn right at the roundabout at the end of the sliproad towards Dunchideock and follow this road through Haldon Forest. After 1.7 miles, the road goes downhill into trees and just opposite is a forest car park area on your right. Take the sharp left turn signposted Trusham & Ashton. 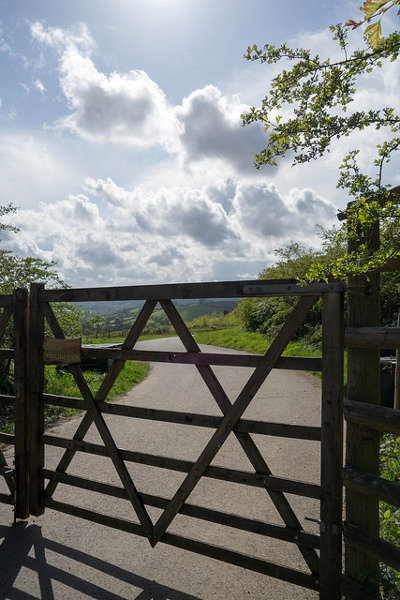 Entrance to Embercombe is 1.2 miles down on the right. At the top of Haldon Hill (A38) take the exit marked Dunchideock and Exeter Race Course immediately after the petrol station. At the ‘T’ junction turn left and follow the road through Haldon Forest. After a 1.7miles, the road goes downhill into trees and just opposite a forest car park area on your right, take the sharp left turning signposted Trusham & Ashton. Entrance to Embercombe is 1.2 miles down on the right. We recommend that you don’t use your Sat Nav system to reach Embercombe. 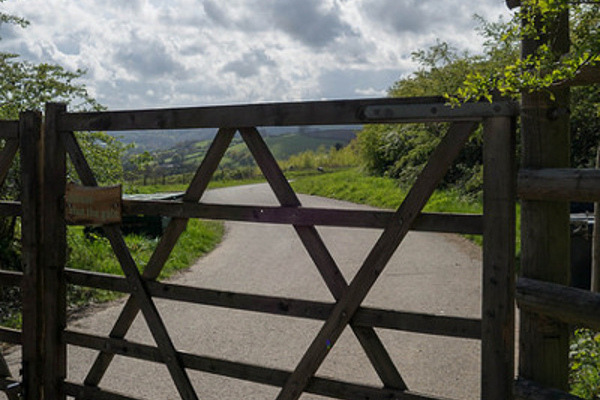 They’ve been found to be unreliable in the rural areas around Embercombe and visitors often arrive at the wrong address. Coming to an event and need a lift? Or could you give someone else a lift to or from Embercombe? Try the Embercombe Faxi group! This is only for people travelling to, or travelling from Embercombe. Click here. The first building you will reach is our Dining yurt. Carry on and you will find our office in the timber clad building which is open during normal office hours. Please be mindful that our beautiful site is a rural venue and working farm. We have taken great care in ensuring the site is as safe as possible for everyone who visits us- however, due to the nature of our surroundings, navigating the site can at times carry risks. The ground can be muddy, slippery and uneven; also in some areas we have ditches to allow drainage- this can make moving around the land tricky, especially in the dark. Due to the muddy nature of our site, in each of our meeting spaces we ask people to remove their shoes, so if you suffer from circulatory problems or cold feet, we advise you bring warm socks or slippers! Here at Embercombe we hold a duty of care towards each other and make every effort to ensure all of our activities are safe. Having said that, final responsibility for children and young people who visit the site lies with the parent or guardian. Children under the age of 13 should be supervised at all times. If you arrive at Embercombe by car, please keep your speed below 5mph and use the car park provided. We would ask that all visitors sign in and report to the office which can be found as you walk down the main track. Once there, please familiarise yourself with the emergency information and safety guides displayed in the lobby. All visitors have a personal responsibility to use the site safely. Embercombe is a busy site enjoyed by many different groups, on occasion more than one group will be present. Please be sensitive to this by using the site in a respectful way that does not spoil the experience for others. Sustainability and consumption are issues we hold close to our hearts here at Embercombe. With this in mind, when using the facilities onsite please be mindful of the energy you consume. This includes not having over-sized fires and using compost toilets instead of the flush toilets. We rely on solar power for some of our hot water so please try to avoid long showers and be considerate of the resources you are leaving for the next person. Thank you for your consideration and we look forward to welcoming you onsite!